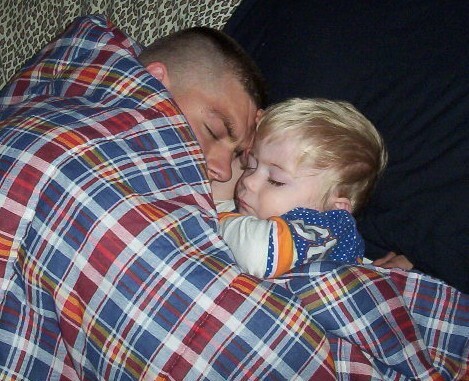 I took this picture of my wife's cousin's boyfriend and their son, sleeping on our livingroom floor the day of our wedding. Nice grab shot that could benefit from cropping to isolate the subjects a bit. Also I feel the flash is far too harsh. I relate to that every day. zzzz with the kids. Nice shot. Cute, I like the texture of the blanket. I think that the lighting could be better, it looks a little harsh. The composition could also use some improving but not sure what I would do with it. I recommend you to avoid the flash as your only source of litght. You should have used a tripod and disable the flash. Proudly hosted by Sargasso Networks. Current Server Time: 04/24/2019 09:50:59 AM EDT.